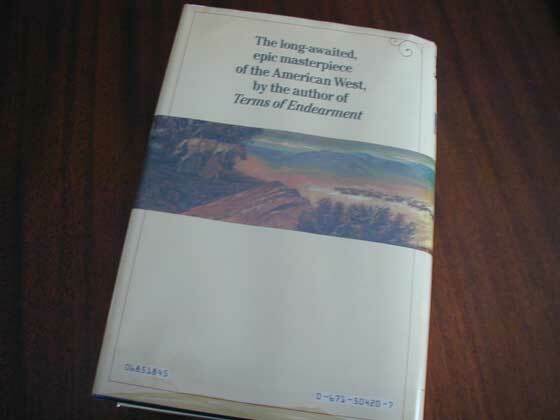 The first edition of this Pulitzer Prize winner was published by Simon & Schuster in 1985. 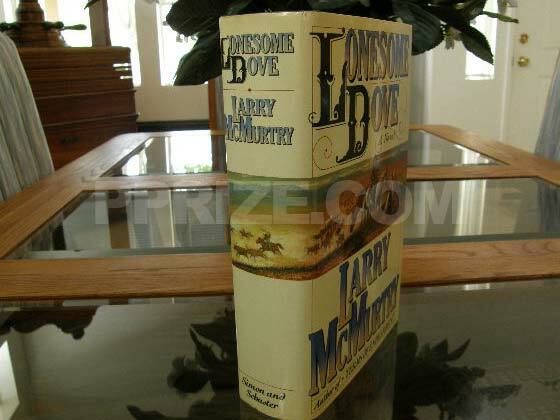 It was 843 pages long, and the original retail price was $18.95. 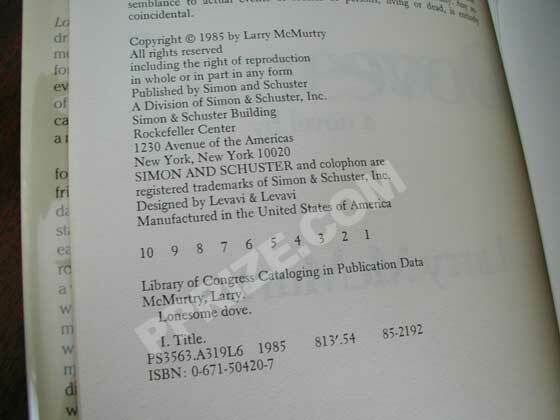 The first edition can be identified by the following points: Number line "10 9 8 7 6 5 4 3 2 1" on copyright page. 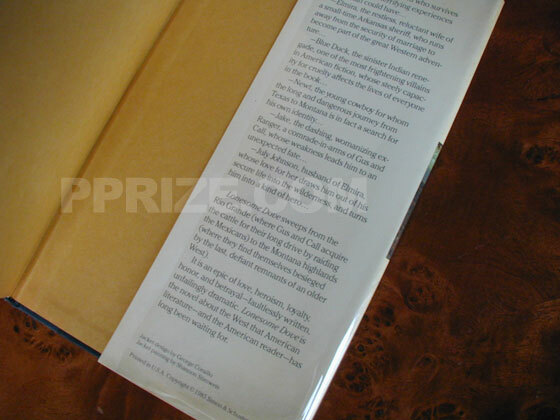 All first printings have the error "he had none nothing" on page 621 line 16. 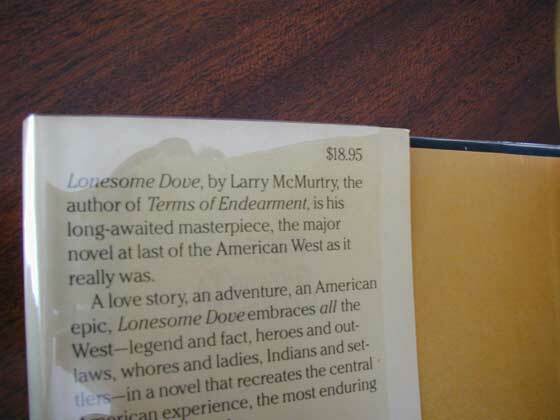 We have found this error in printings as recent as the 25th, and consequently we do not consider it a first edition point. 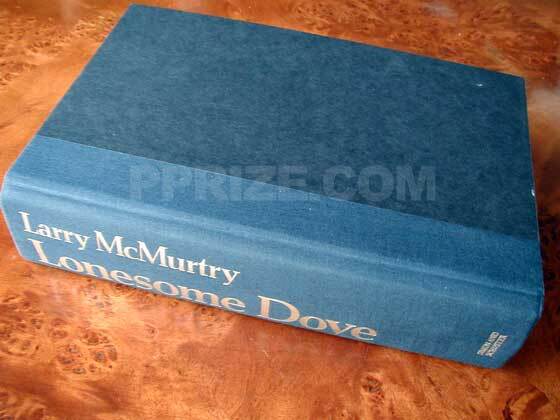 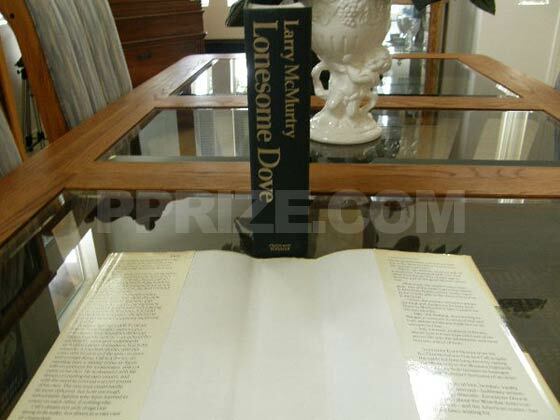 Lonesome Dove book won the Pulitzer Prize for Fiction. 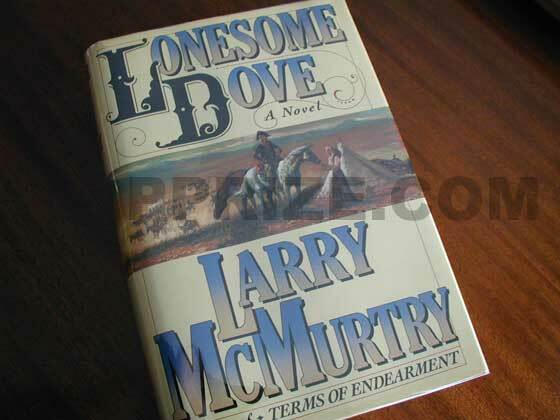 Picture of the back dust jacket flap for Lonesome Dove.